We recently spoke with Jon Butcher, who owns and operates Leviathan Tattoo along with Mr. Jason D’Aquino. Both are extremely talented tattoo artists, and we are delighted to have their work in our design contest. Go to Rate Designs on metalinkshop.com to view and vote on their artwork! MI: You’re from Arizona. Is that where you started tattooing? 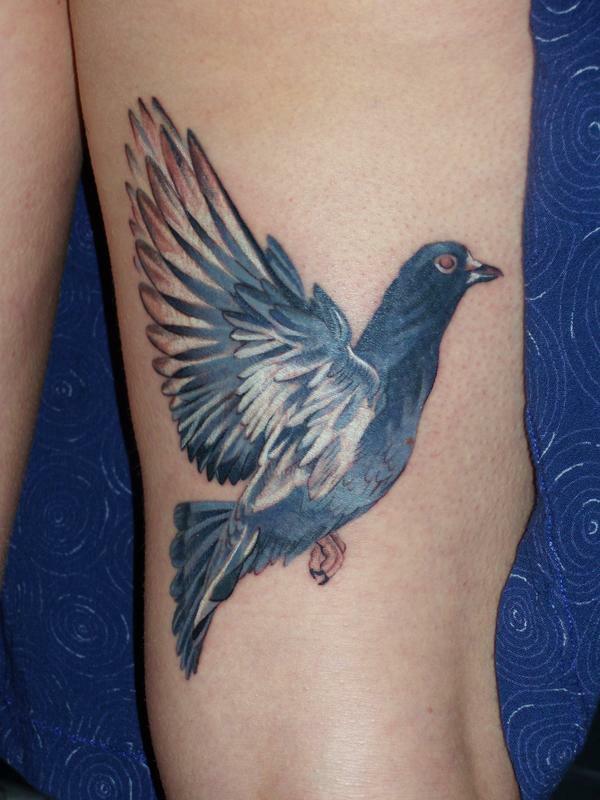 Jon: I moved to Buffalo for the purpose of tattooing. I learned out here. I moved to Buffalo 5 years ago. I spent a couple of years hanging out in a shop, and at first I was cleaning up and observing. I didn’t start tattooing until 2007, and so now I’ve been working for about 2 ½ years. MI: I’ve seen your 2 submissions to Metal Ink, “Diamondback” and “Sea Monster.” They’re both really gorgeous, but I’m curious about your design “Diamondback”—there seems to be something very southwest about it, in terms of the subject matter and the colors. Is that what you were going for? A homage to your hometown? Jon: I wouldn’t say it was a conscious decision. I mean, I love the southwest. As far as the city of Phoenix goes, it didn’t really inspire me. But as for Gila monsters and roadrunners and Arizona wildlife, I love southwest nature and animals. I can’t help but want to make things look like that. MI: Were either turned into tattoos? Jon: No, I painted those designs. For “Diamondback,” I only used black paint and Lipton tea. It’s just watered down black and watered down tea in layers. It looks fuller that way, using the simple cool of the gray and the warmth of the sandy tones of the brown. MI: Do you find your painting influencing your tattooing? What informs your tattooing? Your style is hard to categorize, but traditional seems to be a major influence. 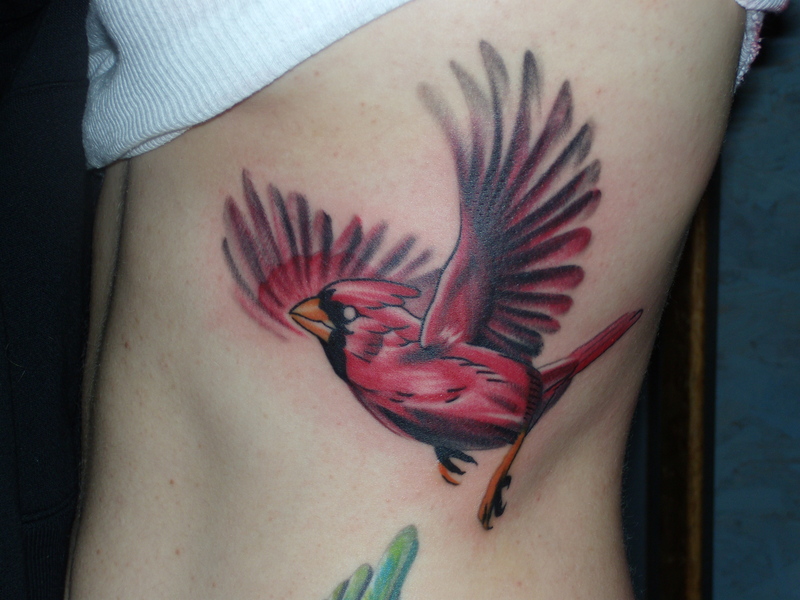 Jon: I’m attracted to traditional tattooing because of the boldness and colors in it. The clunkiness is appealing to me, but I can’t draw that way. At the same time, I don’t want to be a traditional tattooer. I want to learn from it and take from it. I want to expand upon it. For example, in “Sea Monster,” there’s some play with the background fire and clouds—patterns that are more organic. But as far as that influencing my tattooing, I feel like my drawings are ahead of my tattoos, because I have to make my clients happy and that’s my first objective as opposed to doing what I want. MI: What are some of your inspirations, and who do you admire? Jon: I’m attracted to lots of different styles. I’m influenced by painters as much as people who tattoo. And when it comes to tattooing, I feel like I do not have a consistent style and I don’t know if that’s a good or bad thing necessarily. Right now I’m experimenting and playing around. Jon: If I was interested in making tattoos look like paintings, it would be easier because that’s my background. I want to do something different than photo realism. People who do that are obsessed with rendering everything perfectly. For example, I did a cardinal few days ago, and I feel like it’s a good representation, as far as being traditional in spirit but also deviating from that tradition as to create some softness and movement without sacrificing boldness. MI: Name a couple artists you admire. Jon: Bert Krak is my favorite. It’s almost like his name echoes his tattoos, they’re very simple, concise, and they have a lot of personality to them. Also Jeff Gogue—his tattoos reflect very closely the same ideas that I want to express through tattooing. His Japanese inspired work is very non-traditional Japanese, but because he understands the tradition, he has deviated from it in such a way that it is more successful than the traditional style, in my opinion, in reference to space, layers, transparency and shifting focus, which are the backbone of traditional Japanese tattooing. MI: Let’s talk about your background – you went to art school? Jon: I went to the Art Institute of Chicago. MI: Did you have classmates who wanted to become tattooers too? Jon: Most people who go to art school don’t know what they want to do afterward. Probably 95% percent of people who graduate from art school, 5 years later will never make another painting in their life. There’s not that much room in today’s world for successful painters just because the business I s not there. So they have to branch out and do other things that satisfy their artistic intentions. When I was in art school I wasn’t intent on becoming a tattooer. If I was to recommend how to become a great tattooer, it wouldn’t be going to art school. I think it could inform you and help you make more interesting tattoos, but the best way would have been to do an apprenticeship. MI: How is tattooing different from painting (besides the obvious)? Jon: So everything that you tattoo is going to change. It has to be successful for a lifetime. My goals in painting are different from my goals in tattooing. With painting, it’s a lot about surface and visual interest, and lots of prettiness and lots of subtle things. There’s no room for very tiny subtlety in tattoos. Everything’s gotta be bigger, simpler and bolder. If you look down at a tattoo and you’re squinting at it and it still looks good fuzzy, then it’s going to look good in 30 years. MI: Is that what you do when you’re working on someone? Jon: Oh no, that’s just my way of explaining it. MI: Okay, that’s a relief. Well, thanks for your time and best of luck with your submissions in our design contest! This entry was posted on December 22, 2009 at 6:22 pm and is filed under Tattoo Artist Interviews with tags design challenge, Jason D'Aquino, Jon Butcher, tattoo artists, traditional tattooing. You can follow any responses to this entry through the RSS 2.0 feed. You can leave a response, or trackback from your own site.